If you are interested in becoming an allied health professional, our program provides you with the knowledge, skills, and experience to work in commercial, corporate fitness, and cardiac rehabilitation settings. In the undergraduate program, you’ll learn about optimal health and gain skills to assess health and fitness. You will also understand behavioral strategies that encourage people to be active. At the end of your coursework you will complete a semester-long internship. You can also complete a minor with approved electives. Our program is open to any undergraduate student on campus, so contact us today. In the graduate program, you will complete your master’s degree prepared to identify, evaluate, and prevent various diseases and disorders with health related strategies. Contact us for more information. The Physical Activity and Health program faculty conduct a variety of research in each of their laboratories. They study anything from what makes you motivated to exercise, to the affects of whey protein on the body, to what part of the brain is activated when you perform a task. Many of the faculty have an “open door” policy where you can be involved and get hands-on experience. Exercise Adherence and Obesity Prevention Lab – Danielle Wadsworth, Ph.D.
Molecular and Applied Sciences Lab (MASL) – Michael Roberts, Ph.D. 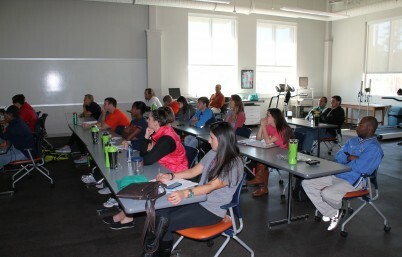 Performance and Exercise Psychophysiology Lab (PEP) – Matt Miller, Ph.D. 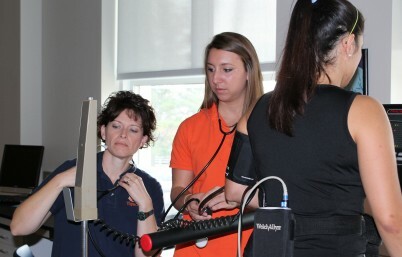 The Physical Activity and Healthy faculty engage in outreach efforts to improve the lives of people in the community. You can assist in those efforts and help change lives. Some of our initiatives include Faculty and Staff Fitness Program, Yoga classes, Tiger Fit Health and Fitness Assessments, Youth Speed, Agility, and Conditioning Camp, and High School Preseason Camp. For information about the graduate program, contact the Program Coordinator.